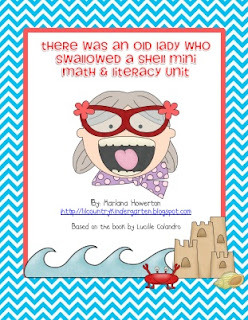 I'm so excited to announce that my giveaway download for the Teacher Appreciation Jackpot will be my There Was an Old Lady Who Swallowed a Shell Mini Math and Literacy Unit! Click on the picture below to grab your copy for free before time runs out! Also, all items in my TpT store will be on sale for 28% off when using the promo code TAD12. The sale runs from May 6 through May 8. 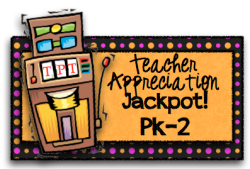 Click here to take you to my TpT store. All items in my TeachersNotebook shop will be on sale for 20% off through May 11. Thank you and you're very welcome! :) Happy Teacher Appreciation Week! HOw fun I will have to stop by tomorrow:)) I love your hundreds charts too!! I just came over from TBTS, I am your newest follower! Thank you! My students love this series.